Half by accident, half by definite purpose, I stumbled upon an auction of Disney memorabilia and in it was included a page of a magazine called Motion Picture Daily. It had caricatures of Disney staffers from the early ’30s. After a little internet research, I was able to locate high rez pix of not only that page, but its adjoining pages. 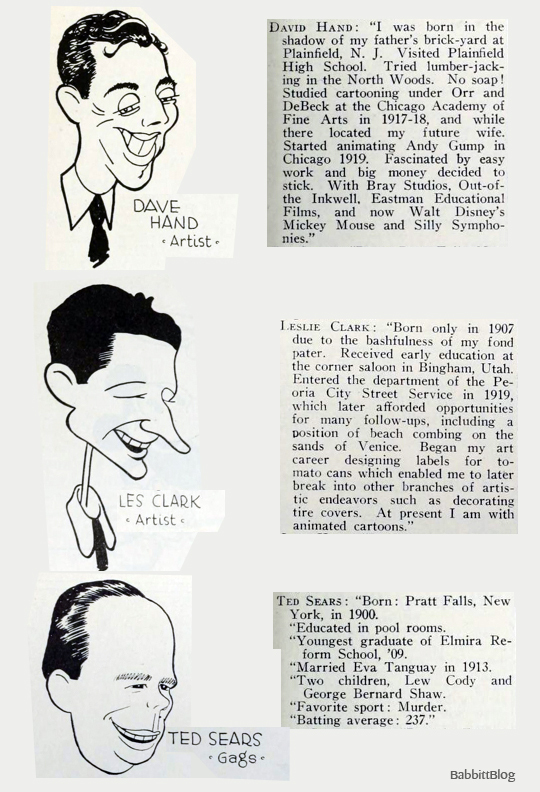 What I was able to reap was not caricatures (by Disney artist Jack King) of the 1931 Disney staff, but also brief autobiographical artist profiles that give a window into the youthful and playful behavior of these young creatives. I’ll post a few of these over the course of the next few days. 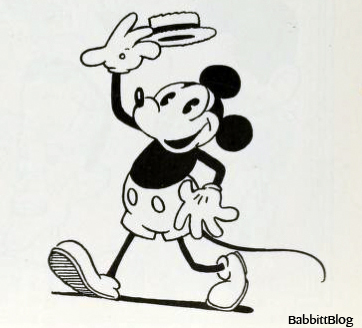 This entry was posted in 1932-1941: Disney Glory Days, Animation, Disney, Illustration, Mickey Mouse, Nine Old Men and tagged caricatures, Dave Hand, Les Clark, Magazine, Mickey Mouse, Motion Picture Daily, Silly Symphonies, Ted Sears. Bookmark the permalink.